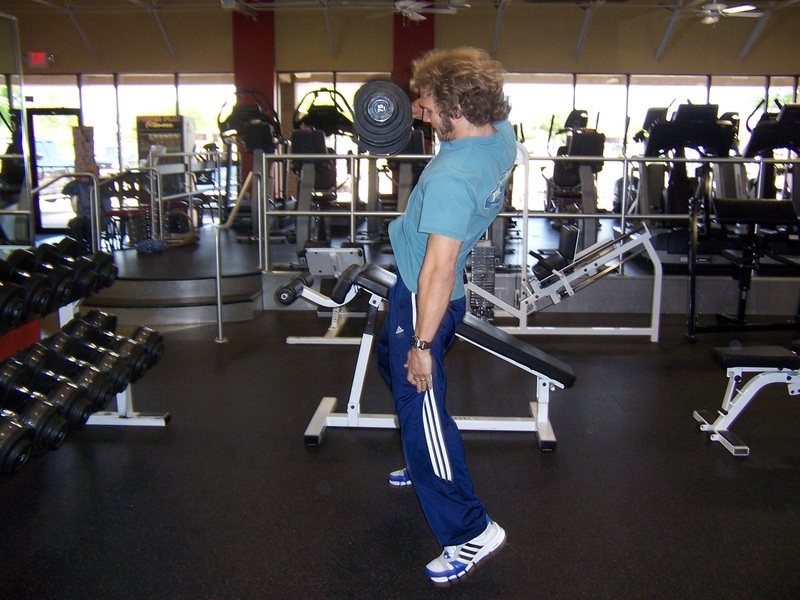 Dallas Personal Trainer - A fantastic exercise for learning to transfer power from the legs through the upper body. Excellent for improving speed, useful strength for average daily tasks like handling luggage etc, and fantastic for enhancing sports performance. Very rarely will you find a Dallas Personal Trainer that utilizes this exercise, due to its complexity and difficulty to teach and master. However, after you master this exercise you will definitely find that it makes a noticeable difference in your daily life through its ability to give you real, functional, useful strength. This exercise will be performed separately with each hand. Perform all required reps with one hand and then switch to the other hand and perform all required reps with that hand as well. Place a dumbbell on the floor between your feet and stand with your feet a few inches outside shoulder width, with your toes pointing slightly out. Squat down and lean forward without rounding your back, grab the dumbbell with one hand, stick the other arm out to the side away from your leg, and keep you head up. In one rapid motion, squat up, thrust your hips forward and throw the dumbbell (without letting go of it) up overhead until your arm locks out fully extended overhead. The arm should be up and slightly back when it reaches the overhead position. If it is forward you will not be able to stablize the dumbbell and it will put pressure on your lower back. Lower the dumbbell back to the shoulder under the control of the shoulder muscle. 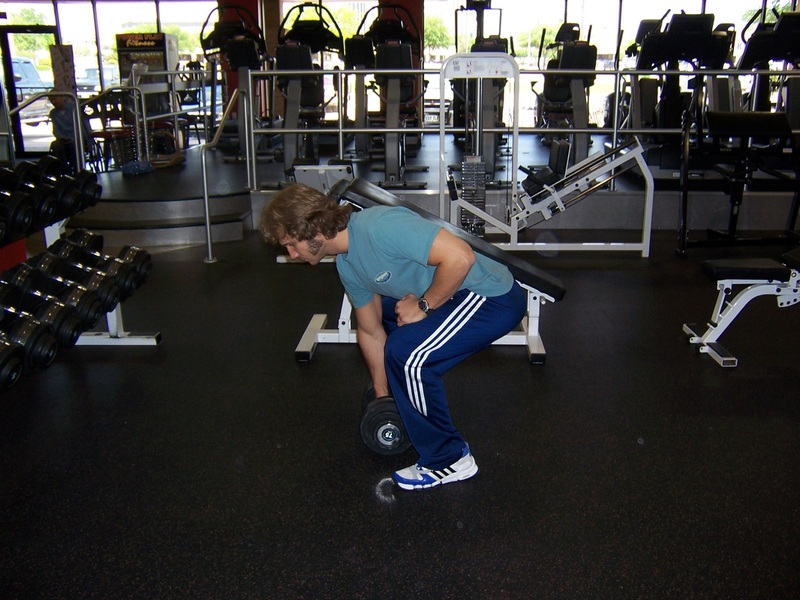 Then lower it back to the floor by squatting down and leaning forward again with a straight back.